A Marine recounts the fighting in Ramadi during the Iraq War, paying tribute to U.S. military heroes in the process. Major Scott Huesing fought in the deadliest city in Iraq at the height of insurgency … and survived. 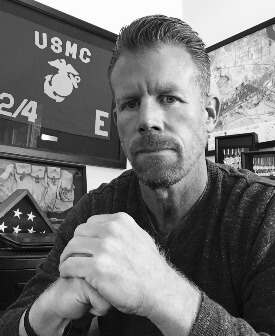 The retired USMC Infantry Major served his country for more than 24 years, a career spanning 10 deployments in Iraq, Afghanistan and the Horn of Africa. His time spent in Ramadi, Iraq, a city known for massive violence and danger lurking around every bullet-marked building, proved the most harrowing. He chronicles that nightmarish battle in “Echo in Ramadi: The Firsthand Story of US Marines in Iraq’s Deadliest City ,” a haunting memoir available now. 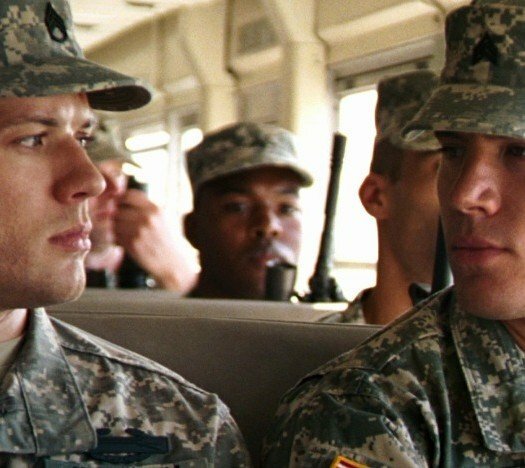 The HiT ‘cast spoke with Scott about his military days, how his fellow Marines process the horrors of war and his thoughts on how Hollywood captured the fighting in Iraq. Listen to “HiT Episode 71 Scott Huesing” on Spreaker. You can find out more about Scott, his book and his military experiences at the book’s official Web site. Please follow Scott on Twitter @EchoInRamadi and via Facebook. Also visit, and support, SaveTheBrave.org. The nonprofit provides camaraderie and stress-management programs for veterans in need.